How much free space do you have on your smartphone? How much data can you use through your mobile carrier? 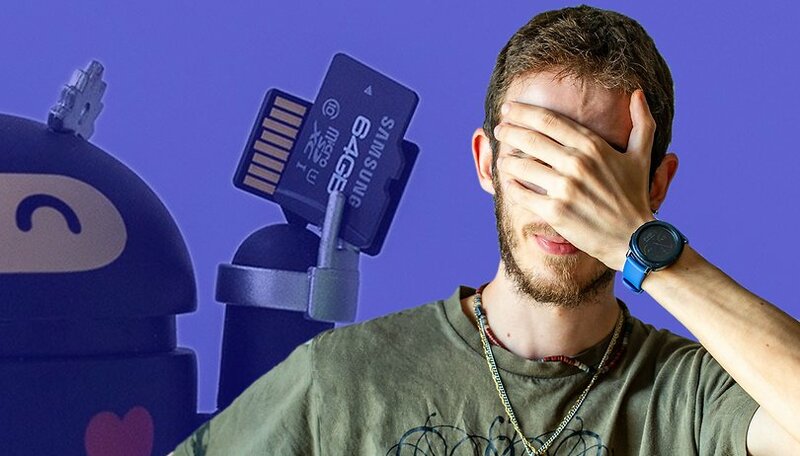 How many files can that USB stick hold? What are the download speeds in that fiber optic cable? All these relatively simple questions are answered in measurements of bytes of bits (and their multiples), depending on the context. But what do all these measures mean in everyday use? Let’s try to make sense of these units for measuring computer units. The word bit comes from the phrase “binary digit” and literally means a single “0” or “1”. That means each bit can only have one distinct value: either a zero or one. A bit is represented with the letter “b” and is always lowercase. Bits are the fundamental unit of measurement for informatics and, obviously, you’ll need many bits to represent different kinds of information. A byte is nothing more than the merging of 8 sequential bits, where the information is stored or transported by sending multiple bytes at the same time. The more complex the information, the more bytes are needed to represent it. Bytes are indicated with the letter “B”, which is always capitalized. Sometimes it’s easy to confuse b (bits) with B (Bytes). Since nowadays millions (if not even billions) of bits or bytes are needed to represent information, specific prefixes have been created to reduce the number of unnecessary digits. Think of the unit of measurement for weight, the gram: to define weights thousands of times greater than the gram, there are other terms we use: such as the hectogram, kilogram, quintal or ton. It’s the same when it comes to informatics. Initially, differentiation was carried out using binary digits as a reference. A different prefix was assigned for each 2^10 value. Since the conversion wasn’t as clear as what we’re used to, as we think on the basis of 10s and not on the basis of 2s, the prefix was changed from 1024 to 1000 for the international system. This introduced some error at every level of conversion, but it’s still usable in everyday use. You just have to keep an on the difference between the actual measurement used by PCs and those used “commercially” in the international system. To understand how these units of measurement affect our daily lives on computers, it’s enough to think of memory as enormous buckets that are filled with bits/Bytes that are represented by a volume of water: a 128-liter bucket is 1000 times larger than a 128-millimeter container. The same ratio applies for GB and MB and so on. If you have 10GB of data traffic available from your mobile carrier, you can physically generate a traffic volume of 10GB. There’s no maximum connection time, as it depends solely on the volume occupied by what you see. Logically, images and videos carry a greater weight than text, which is why too much social media will drain your monthly plan. When we talk about bits and bytes, we speak of certain volumes, so it’s easy to understand why the same units of measurement are used to indicate speeds - usually bits for internet connections and bytes for reading or writing data. When we talk about pipes, we use liters per second to indicate the speed with which water can flow through them. It’s the same for data connections (wired or wireless): bits per second indicates the rate at which information can be transferred. Warning: many retailers play on the relationship between bits and bytes and exploit users who don’t understand the difference. If you’ve been promised download speeds of 20 megabits per seconds, that’s “only” 2.5 megabytes per second. When indicating connection speeds, the measurement units in bits or bytes are followed by the suffix “ps”, which means “per second”. 4G connections can reach transmission rates of up to 1.2 Gbps (gigabits per second) and common SSDs transfer data at speeds of several hundred MBps (MegaBytes per second). A bit is how much food I can stuff in my face at one time. A byte is how much will go down my throat without choking LOL. I always loved when you picked up a box of floppy disk that said "2.0 megabits" but in SMALL print it said format capacity 1.44 megabits. Good article. Rarely a problem because most commercial consumer-facing labeling and advertising is in bytes (GB. MB) for both storage and transfer speeds. That creates miscommunication when grinning telecom regulators (FCC, Canada's CRTC) and politicians pitch their work in bits (Gb, Mb) that inflate the byte numbers by a factor of 8. Great headlines when the FCC noisily defined "broadband" as 25Mbps down and 3Mbps up, confusing a lot of citizens who thought such stern and forceful action would lead to better than 15 year old DSL internet.